I decided to take this trip two weeks after my partner Mel passed away in July 2012. I didn’t have a lot of time to prepare for it. I’d only started cycling 9 months previously, after a knee problem stopped me running. By no means a serious cyclist, I don’t even have two properly functioning knees. However, I am into the more adventurous side of travel, so I decided to give it a go. “So why the Rhine?” a lot of people have asked. I don’t have a good answer for that, but at the time it just seemed to be about the right length. Having said that, I have no idea how you go about ascertaining the correct length of river in these circumstances, but the idea took hold when I discovered the website for EV15 cycle route. Both the website and route were under construction at the time, so information was limited, and only once during the ride (the canal to Strasbourg) did I see any EV15 route markers. Still, I wasn’t going to let a little detail like that put me off. I had the twelfth longer river in Europe to follow, so how difficult could it be? The last point only made it onto the list because my friend Simon told me I needed one while we were in the pub a couple of days beforehand. I decided to listen to him as he used to have a Saturday job in Halfords, and you can’t afford to ignore a higher authority like that. People have asked it was symbolic of finding a new direction in life. I’m afraid I’m not that deep. I just couldn’t find one single map that covered the route comprehensively, so I decided not to bother. I had the twelfth longest river in Europe to follow, so how difficult could it be? I completed my preparations by sitting in Regents Park and drinking red wine all day at the picnic we’d organised to celebrate Mel’s life. It was a great day, but not advisable as preparation. It led to me waking up in a state of mild confusion the following morning with only an hour to stuff some clothes into panniers and food into my mouth before I headed out. The idea of writing a blog about the trip didn’t enter my head until after I’d departed, without any of the requisite technology for writing one. So I created the blog the following morning in the business centre of a hotel in Lille. I was glad I did. The comments and donations were an incredible source of motivation, but more than anything it felt like something Mel would have wanted me to do. Through the whole journey I struggled to find the facilities to keep it updated and upload photos. Travelling through affluent countries in these wi-fi enabled times you simply don’t find the internet cafes I used to rely on during a year travelling round the world. 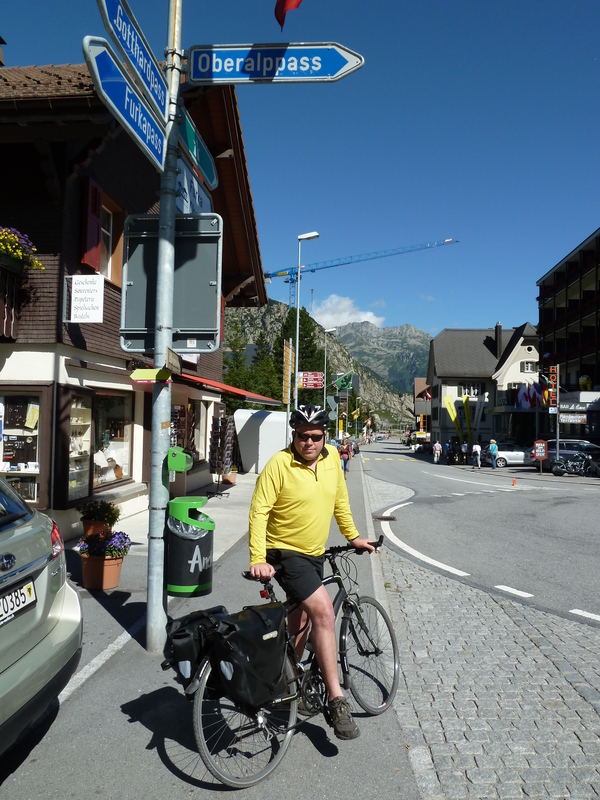 During the trip I fell into a pattern of cycling until fairly late in the evenings, one I never managed to break as the first hour after breakfast each morning was always spent writing a blog post about the previous day. This constant time pressure meant there were quite a few things I had to leave out, so in addition to the original blog posts I’ve added a few notes in the version which follows. Day 5 – Strasbourg or burst?